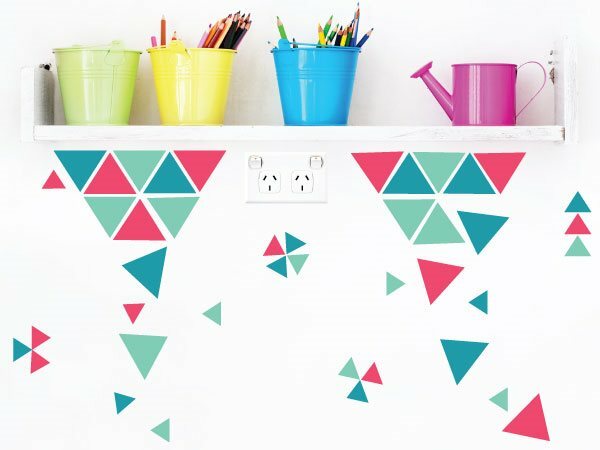 Build your own favoured picture with the colourful triangle wall stickers. 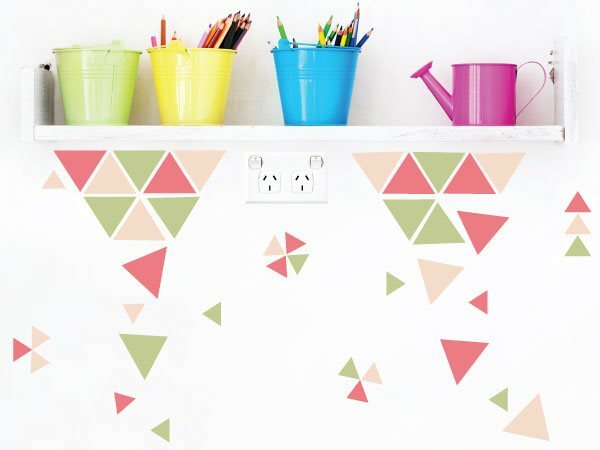 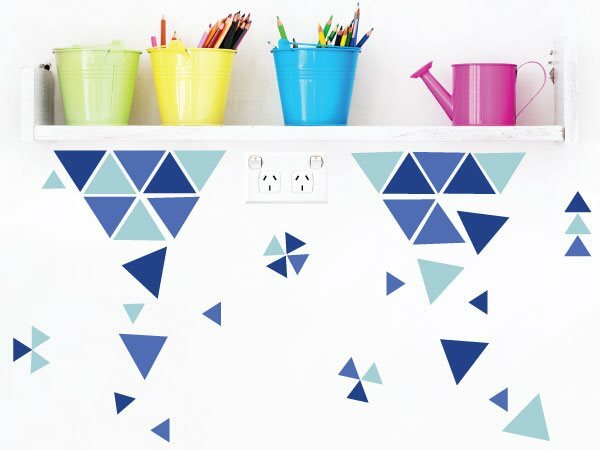 The triangles wall stickers set includes 21 large and 18 small triangles. 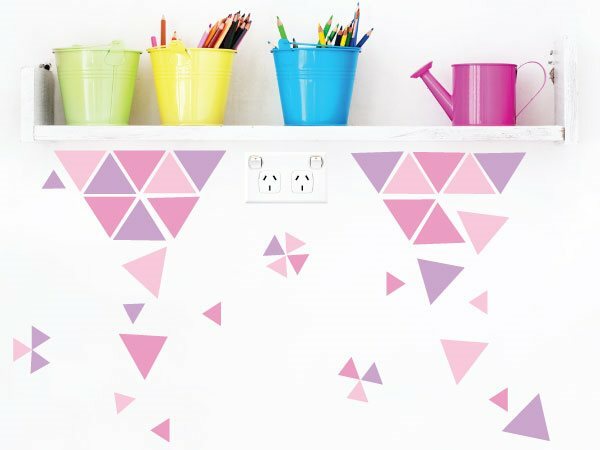 The large triangle is approx 7.3cm(w) x 5.7cm(h). 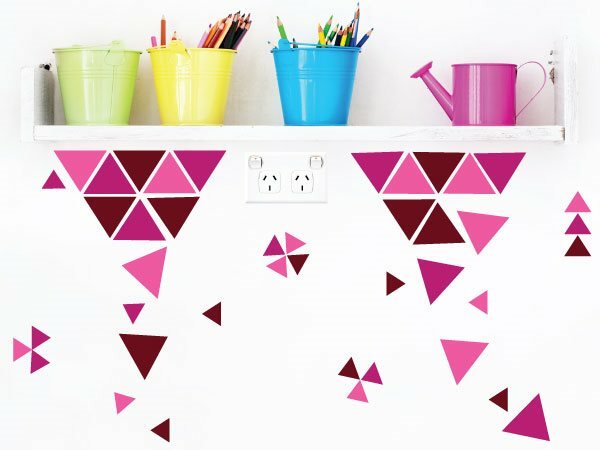 The small triangle is approx 3.3cm(w) x 2.6cm(h).